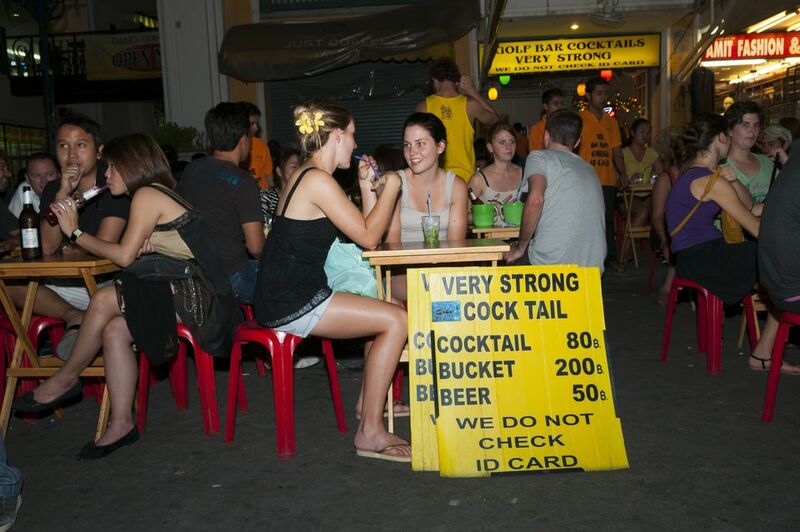 It's not uncommon on Bangkok's famous Khao San Road to see bars with signs advertising, "We do not check IDs." Welcome to Southeast Asia, where you'll soon discover that almost anything goes. Despite Thailand having a legal drinking age of 20, this is rarely enforced, and as a tourist, you'll be able to buy alcohol at any age. Whether that's a good thing or not is a discussion for another day. Unlike the drinking ages in Europe, the rules in Asia vary significantly from country to country. From being completely illegal in Afghanistan to being legal to all ages in Armenia, there's very little consistency in the continent. Afghanistan: Alcohol is illegal in Afghanistan. Armenia: There are no drinking or purchasing laws in Armenia. Brunei: Alcohol is illegal in Brunei, but it is legal for non-Muslims older than 17 to bring alcohol into the country. Bangladesh: Alcohol is illegal in Bangladesh. Cambodia: There is no drinking or purchase age in Cambodia. China: The legal age is 18 for both drinking and purchasing. Cyprus: The legal age is 17 for both drinking and purchasing. India: The drinking age varies between age 18 and 25, depending on the state you're in. It's illegal in Manipur, Mizoram, Nagaland and Gujarat. Indonesia: The legal age is 21 for both drinking and purchasing. Iran: Alcohol is mostly illegal in Iran, but religious minorities can buy alcohol from shops owned by people of the same religion. Iraq: The legal age is 18 for both drinking and purchasing. Israel: The legal age is 18 for both drinking and purchasing. It's illegal to sell alcohol between 11 pm and 6 am outside of bars and restaurants. Jordan: The legal age is 18 for both drinking and purchasing. Japan: The legal age is 20 for both drinking and purchasing. Kazakhstan: The legal age is 21 for both drinking and purchasing. Kuwait: Alcohol is illegal in Kuwait. Kyrgyzstan: The legal age is 18 for both drinking and purchasing. Lebanon: The legal age is 18 for both drinking and purchasing. Macau: There is no drinking of or purchase age for alcohol in Macau. Malaysia: Drinking age of 16; purchase age of 18. Maldives: Age 18 for both drinking and purchasing, with the sale of alcohol limited to tourist resorts. It is illegal for Muslims to buy alcohol. Mongolia: The legal age is 18 ​for both drinking and purchasing. Nepal: Drinking age of 18; there is no purchase age. North Korea: The legal age is 18 for both drinking and purchasing. Alcohol is only served on Saturdays. Oman: The legal age is 21 for both drinking and purchasing. Pakistan: The legal age is 21 for both drinking and purchasing. Alcohol is illegal for Muslims. Palestine: The legal age is 16 for both drinking and purchasing. It is illegal in a few cities. Philippines: The legal age is 18 for both drinking and purchasing. Qatar: The legal age is 21 for both drinking and purchasing. Muslims are allowed to purchase alcohol but not consume it. Saudi Arabia: Alcohol is illegal in Saudi Arabia. Singapore: No drinking age when consumed on private property; age 18 when in public places. Age 18 for the purchase of alcohol. South Korea: The legal age is 19 for both drinking and purchasing. Sri Lanka: The legal age is 21 for both drinking and purchasing. Syria: The legal age is 18 for both drinking and purchasing. Taiwan: The legal age is 18 for both drinking and purchasing. Tajikistan: The legal age is 21 for both drinking and purchasing, but only if you're not Muslim. Thailand: The legal age is 20 for both drinking and purchasing. The sale of alcohol is banned from 2 pm to 5 pm, and from 12 am to 11am. It's also banned on some religious festivals. Turkmenistan: The legal age is 18 for both drinking and purchasing. Turkey: The legal age is 18 for both drinking and purchasing. The sale of alcohol in shops is banned from 10 pm to 6 am in Turkey. Alcohol is also very expensive in Turkey. United Arab Emirates: The legal age is 21 for both drinking and purchasing for non-Muslim visitors. You must request a liquor permit in order to do so. Vietnam: There is no drinking or purchasing age in Vietnam. Anyone can buy it. Yemen: Alcohol is illegal in Yemen.